JERUSALEM (AP) — The unexpectedly strong showing by a new centrist party in Israel's parliamentary election has raised hopes of a revival of peace talks with Palestinians that have languished for four years under Prime Minister Benjamin Netanyahu. Tuesday's election ended in a deadlock, with Netanyahu's hard-line religious bloc of allies and the rival bloc of centrist, secular and Arab parties each with 60 seats, according to near-complete official results. Opinion polls had universally forecast a majority of seats going to the right-wing bloc. 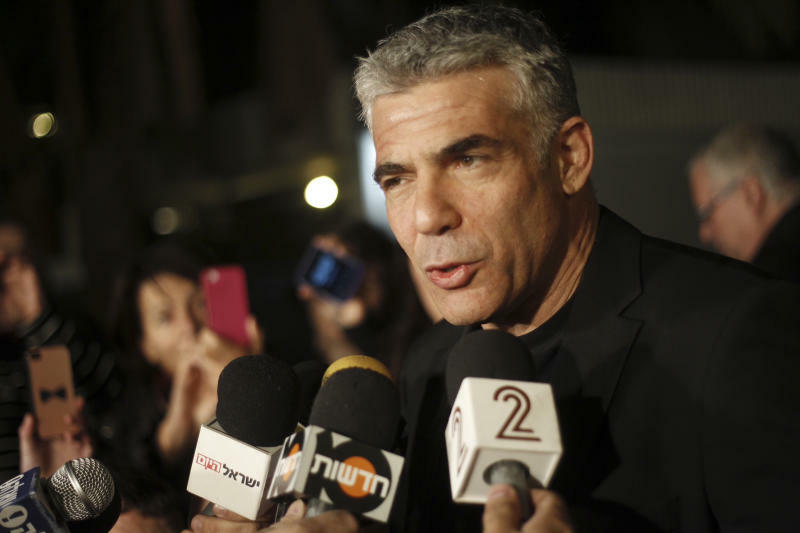 Lapid, whose Yesh Atid — or There is a Future — captured 19 seats, putting it in second place, is the most likely candidate to join him. In a gesture to Netanyahu, Lapid said there would not be a "blocking majority," in which opposition parties prevent the prime minister from forming a government. The comment virtually guarantees that Netanyahu will be prime minister, with Lapid a major partner. Speaking to reporters, he said the election proved "the Israeli public wants me to continue leading the country" and put together "as broad a coalition as possible." But Netanyahu only alluded to peacemaking in vague terms, saying coalition talks would focus on "security and diplomatic responsibility." He took no questions from reporters and immediately walked out of the room. Netanyahu's comments were clearly aimed at the 49-year-old Lapid, a popular former TV talk-show host who has portrayed himself as an average Israeli and champion of a middle class struggling to make ends meet. Though committed to pursuing peace, Lapid's campaign focused heavily on pocketbook issues, raising speculation that Lapid might abandon the peace agenda if he can extract other concessions from Netanyahu. In an interview with The Associated Press last week, Lapid criticized Netanyahu's handling of peace efforts, saying he was committed to restarting negotiations and would not serve as a "fig leaf" in a hard-line government. Dov Lipman, a lawmaker in Lapid's party, said Yesh Atid was serious about resuming talks with the Palestinians. He said the party's strong performance "clearly says the people of Israel, while focusing on internal issues ... do understand we have to be in negotiations, exploring solutions and have to be trying to get to the two-state solution." "We feel that with a sincere approach from the Israeli side, showing we're serious, we can make progress," he said. "We don't feel it's responsible leadership to be in a government which is not trying to move forward in negotiations." Talks have ground to a standstill during Netanyahu's past four years in office, in large part because of his continued construction of Jewish settlements in the West Bank and east Jerusalem. The Palestinians claim both areas, captured by Israel in 1967, for a future state and refuse to negotiate while the construction continues. Under Israel's election laws, President Shimon Peres must formally charge Netanyahu with the task of forming a new coalition within six weeks. If he reaches a power-sharing deal with Lapid, it remains far from clear whether it would be enough to restart talks. While Netanyahu has grudgingly accepted the idea of establishing a Palestinian state, his Likud Party is dominated by hard-liners who oppose Palestinian independence. Another potential coalition partner, Naftali Bennett of the pro-settler Jewish Home Party, has called for annexing large parts of the West Bank, the heartland of a future Palestine. Netanyahu will be hard-pressed to balance the competing visions of Bennett and Lapid, and resumption of negotiations would likely spark a revolt within his hard-line base of support. A continued 60/60 deadlock would trigger new elections. On the other hand, Lapid's positions, while generous in Israeli terms, still fall short of Palestinian demands for a full withdrawal from all of the West Bank and east Jerusalem. Lapid says east Jerusalem, home to Jewish, Christian and Muslim holy sites, must remain under Israeli control. He has also refused to say whether he accepts a freeze in settlement building, a key Palestinian demand. In the West Bank city of Ramallah, Palestinian leaders said Wednesday they were pleasantly surprised by the strong showing by Israel's moderates, but remained doubtful that would soften Netanyahu's policies. "You are not going to have a savior suddenly producing instant peace," said Hanan Ashrawi, a senior official with the Palestine Liberation Organization. Opinion polls in Israel have indicated a majority favor establishing a Palestinian state alongside Israel. Yet during the election campaign, the need to reach peace was barely mentioned, reflecting widespread doubts, even among the dovish left, that peace is possible. The outcome of Tuesday's election shocked Israel, where Netanyahu had been forecast by all opinion polls to be cruising toward re-election at the helm of a hard-line and religious bloc. Netanyahu's Likud-Yisrael Beitenu alliance captured just 31 seats, down from 42 in the outgoing parliament. After the shocking setback, Netanyahu found himself answering tough questions about what went wrong. Avraham Diskin, a political scientist from Jerusalem's Hebrew University, said Netanyahu's merger with former Foreign Minister Avigdor Lieberman's Yisrael Beiteinu turned out to be a huge error. The union was supposed to create a strong rightist bloc immune from blackmail attempts of smaller parties. In practice, Diskin said, it backfired because the parties' constituencies have little in common. Likud appeals to traditional, religious Jews and those of Middle Eastern descent. Lieberman's base are immigrants from the former Soviet Union. Lieberman's indictment on corruption charges during the campaign also hurt the alliance. "This was a harsh error. It was the deciding factor," Diskin said. Netanyahu made other gaffes. His campaign, including photo ops with young smiling soldiers and stops at Jewish holy sites, appeared to take victory for granted. An attack on Bennett, the settler leader, ended up rallying sympathy for his rival, and the last-minute appointment of a popular Likud Cabinet minister to a senior government post appeared to be a desperate attempt to win over voters. In the background, Netanyahu's tense relations with key allies, including the United States, over settlement construction also may have concerned voters. In the weeks before the vote, Netanyahu announced plans to build thousands of new settlement homes. Last week, President Barack Obama was quoted as saying Netanyahu was hurting Israel's own interests with the settlement construction. On Wednesday, White House spokesman Jay Carney pushed back on the notion that Obama and Netanyahu need to recalibrate their relationship. "No leader has met more often with or spent more time on the phone with President Obama than Prime Minister Netanyahu. That relationship is strong, and it is a relationship that allows for a free and open discussion of ideas and positions," Carney said. 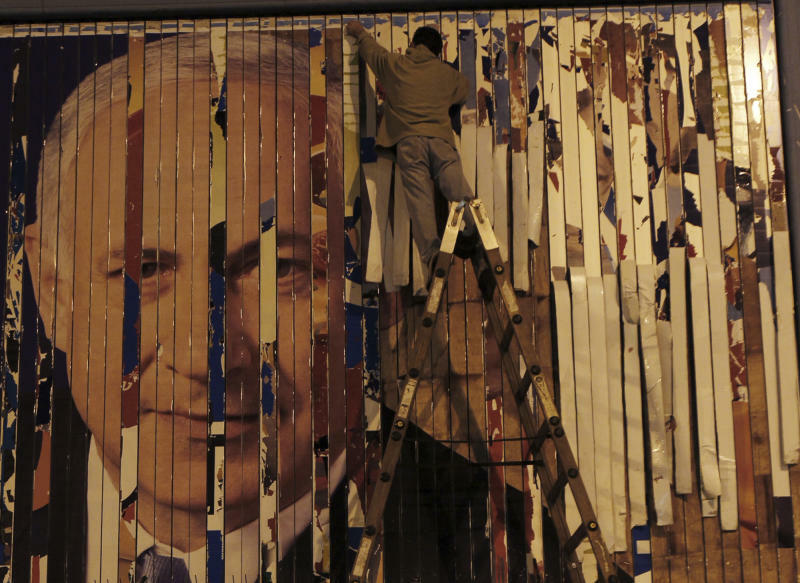 Sima Kadmon, a veteran political columnist for the Yediot Ahronot daily, said the election results did not represent a a major shift in ideology but rather disappointment in Netanyahu himself. 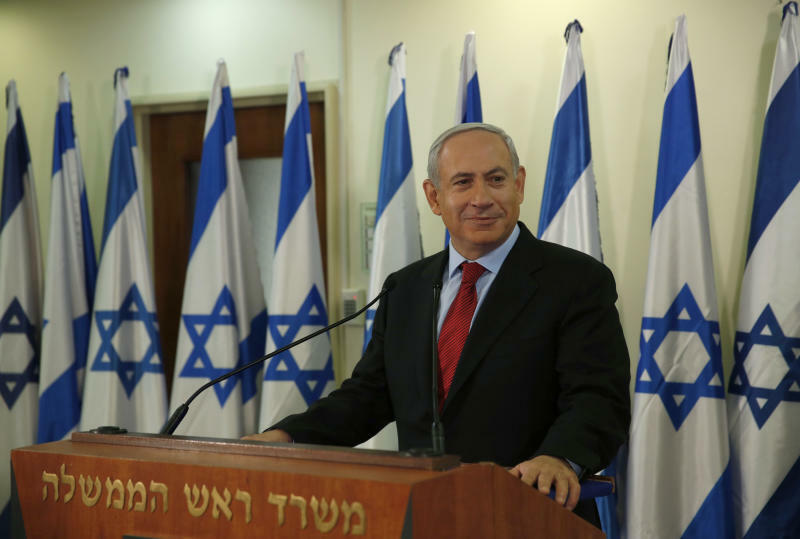 "There is no doubt Netanyahu is the tragic figure in these elections. Despite the huge advantage with which he set out ... he ended up as, at best, a weak prime minister whose coalition will depend on the wishes of the big winner in these elections, Yair Lapid."